6. Improve the synergy within the academic, private and government sectors by creating an active network of Canadian ocean colour experts to engage in multi-institutional research projects. 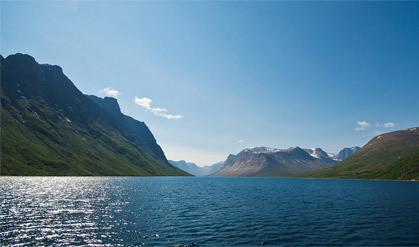 In accordance with the Oceans Act, NetCOLOR will assist in reaffirming Canada's role as a world leader in ocean and marine resource management and help to promote understanding of the oceans, marine ecosystems and aquatic processes while fostering the sustainable development of oceans and their resources. NetCOLOR will improve the synergy among government and university aquatic remote sensing (AOR) scientists. The concerted efforts will provide input in the planning of future AOR missions and consolidate the data available in a format that can be readily exploited by end-users for diverse applications such fisheries, aquaculture, marine ecosystem research, freshwater quality and climate change modelling. It is anticipated that the cooperation between Canadian laboratories will lead to further research projects using satellite AOR radiometry and reinforce Canada's position at the forefront of AOR research.